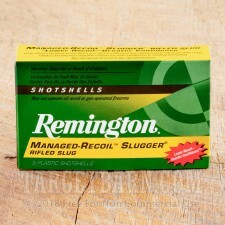 Remington Slugger 12 Ga Rifled Slugs - 5 Rounds of 2-3/4" 1 oz. Remington Sluggers hit like a mack truck, delivering the stopping power and accuracy you'll want for your next big game hunting trip. 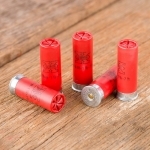 These rounds are designed with a slightly oversized diameter to create a tight seal against smooth bore shotgun barrels. The oversize design creates consistent shot-to-shot velocities and generates more spin for greater stability. The result is more accurate long-range shooting and hard-hitting power. 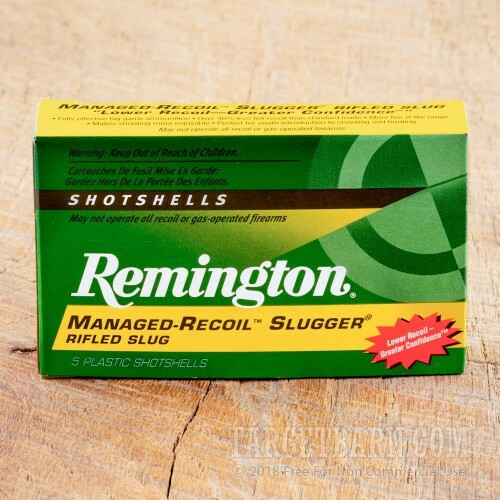 Remington Sluggers are guaranteed to improve shooting accuracy by as much as 25 percent when compared to standard shotgun slugs. 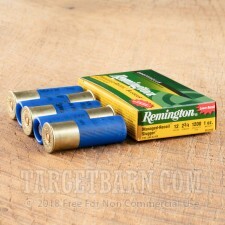 Each of these five 12 gauge rounds measures 2 ¾ inches and is loaded with a 1 ounce rifled lead slug. Leaving the muzzle at a velocity of 1560 feet per second, these slugs pack a powerful punch delivering a consistent muzzle velocity of 2361 foot pounds of game-dropping energy. 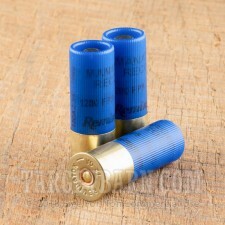 You get 5 rounds that are a perfect choice for big game hunting or home defense. 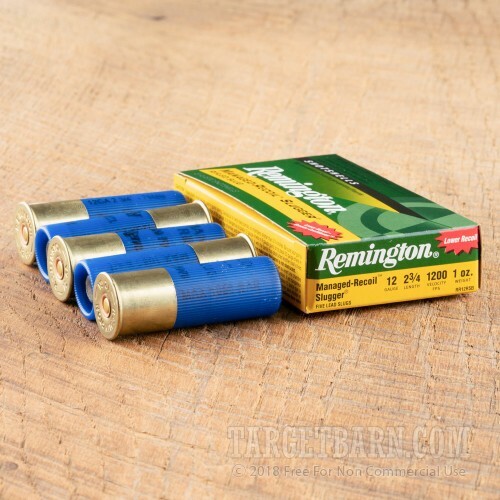 While Remington Sluggers are designed specifically for smooth bore barrels, they can also be used effectively in rifled choke tube barrels or fully rifled barrels.